One concept I have found invaluable for navigating the increasingly incoherent—and explosive—social landscape is that of liminality. This is an anthropological term (coined in the early twentieth century by folklorist Arnold van Gennep) that refers to the quality of ambiguity or disorientation in the middle stage of religious rites. Later on, anthropologist Victor Turner used it to describe how ceremony masters usher ritual participants from one state to another, as in a coming of age ritual. The liminal stage is the intermediary one in which the initiate is on the threshold (limen) between his or her old status and a new, as-yet unknown one. More recently, the philosopher Rene Girard (among others), applied the term to sociopolitical and cultural conditions. And not a moment too soon, since we have now entered a time in history when ambiguity and disorientation have assumed epic proportions. "Fake News" clearly defined? Not yet. Refer to Cultural Revolution article, I think. The European establishment is desperate for Britain to reconsider Brexit. Internationalist ideals about 'preserving European unity', don't come in to it, this is all about protecting income streams. 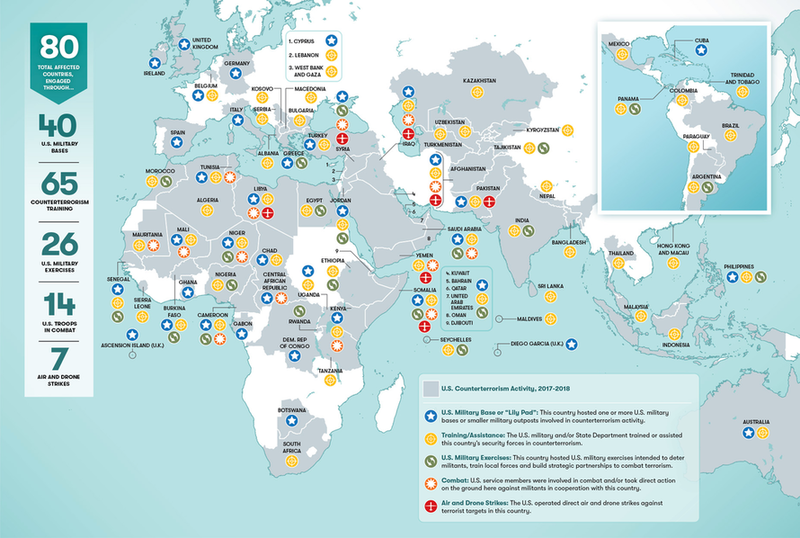 Smithsonian Magazine this month published a stunning map detailing just how expansive the post-9/11 "war on terror" has become, demonstrating that contrary to the common assumption that it's "winding down" more than 17 years later, it actually continues to grow and has now spread to more than 40% of the world's countries.